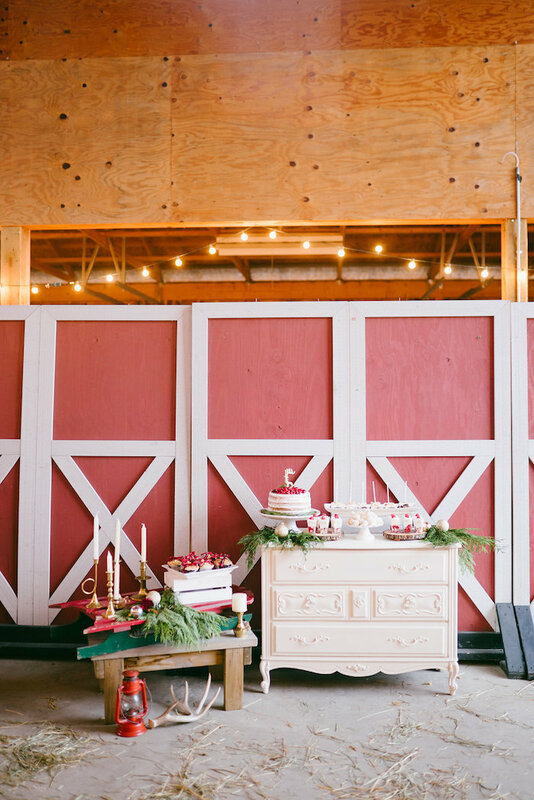 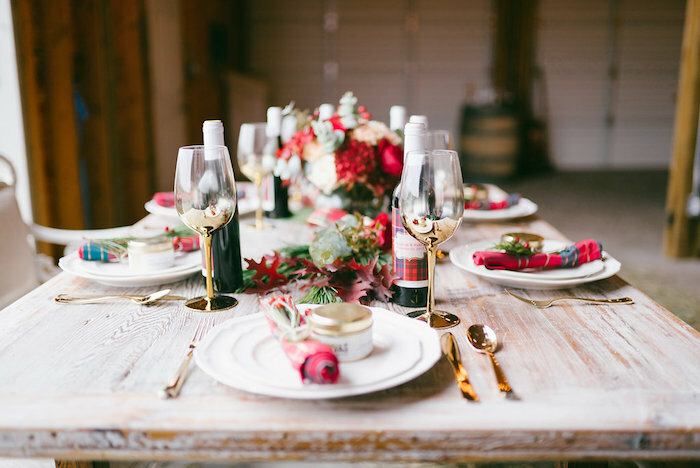 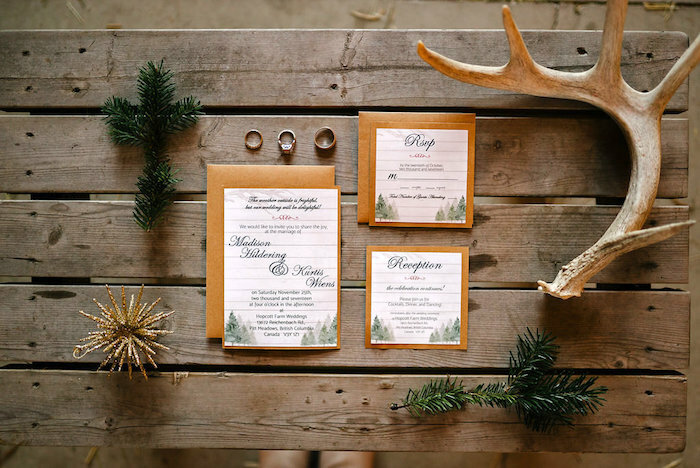 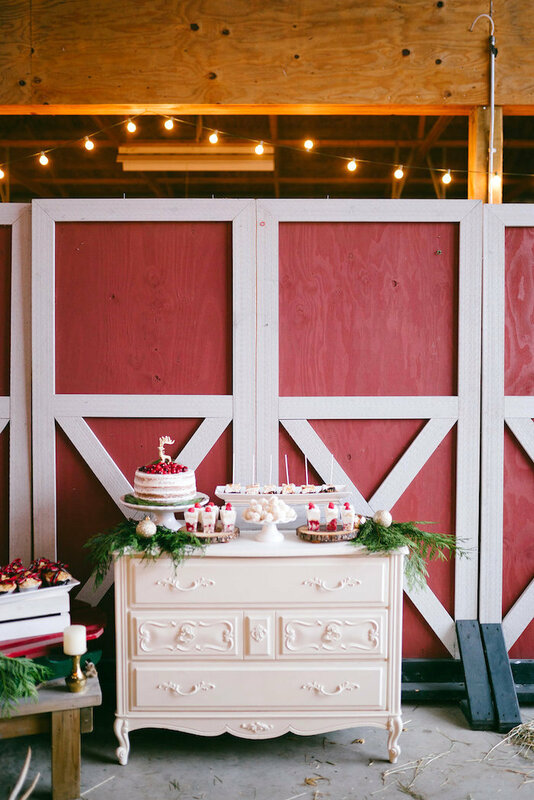 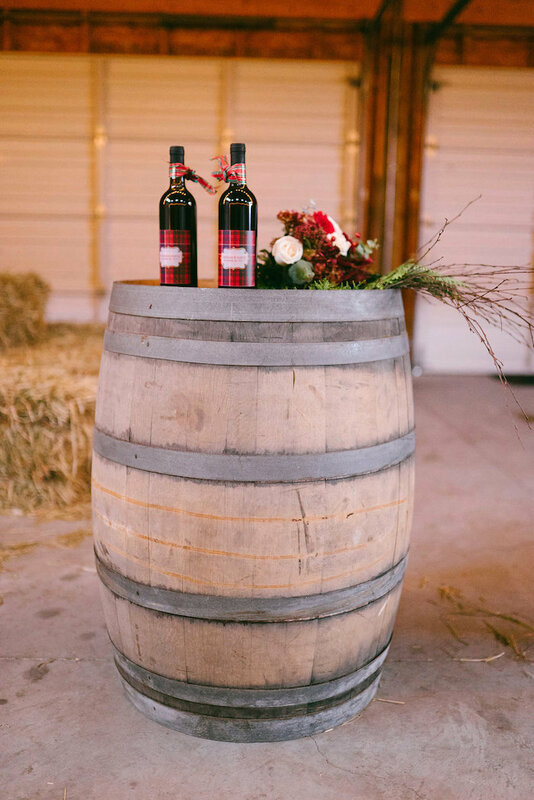 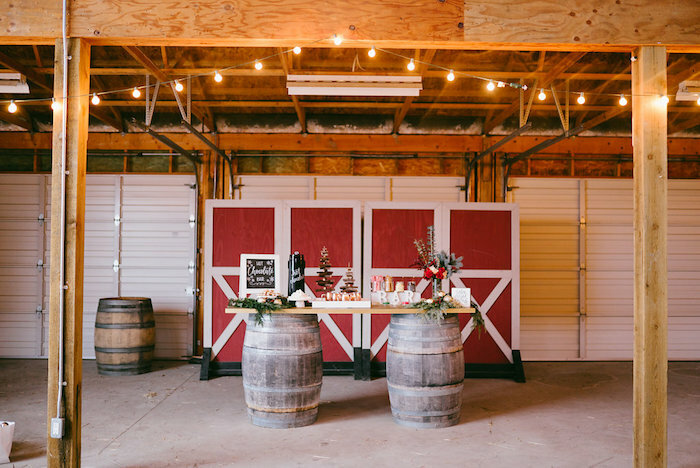 On the look out for a rustic winter wedding? 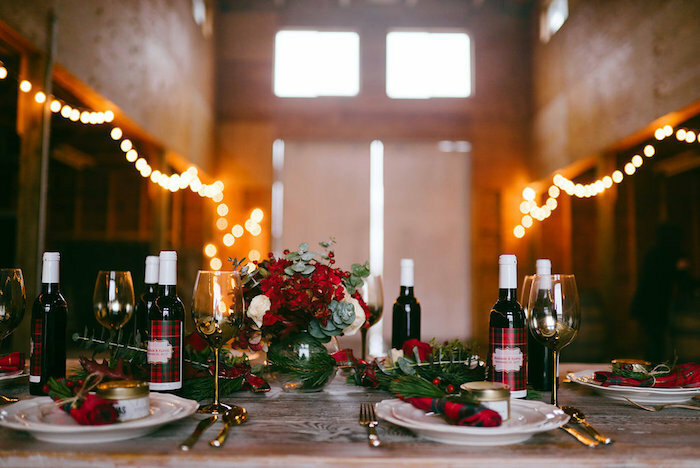 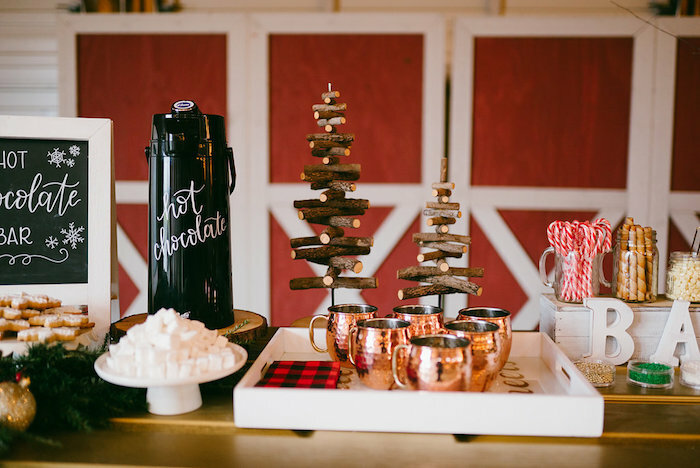 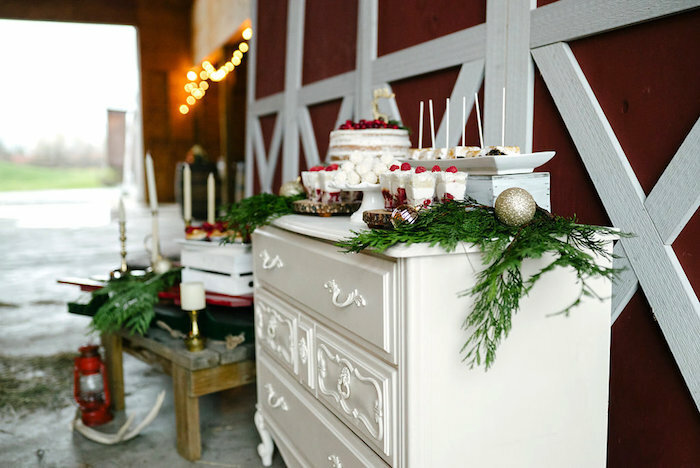 If so, you will go crazy over the details in this Winter Barn Wedding by Bev Soh of Hand Lettered Love by Bev, out of Pitt Meadows, British Columbia, Canada! 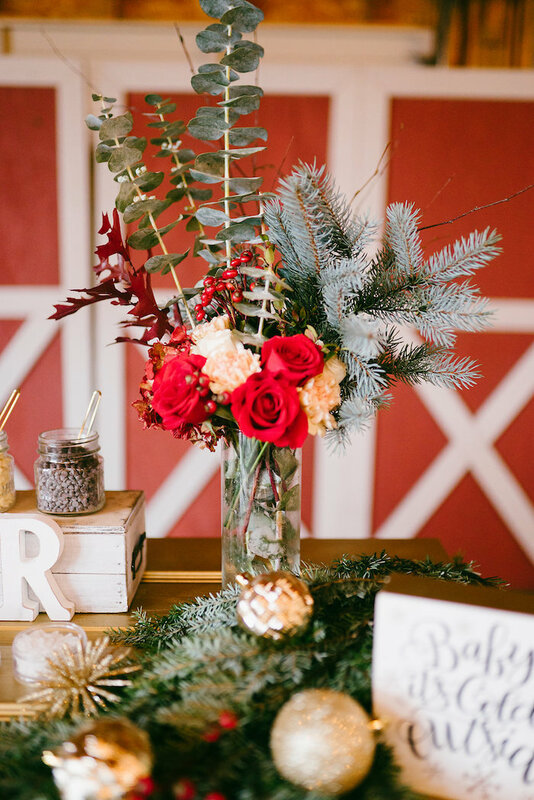 Featuring a dining tablescape that will make your heart swoon this rustic wedding will send you over the moon! 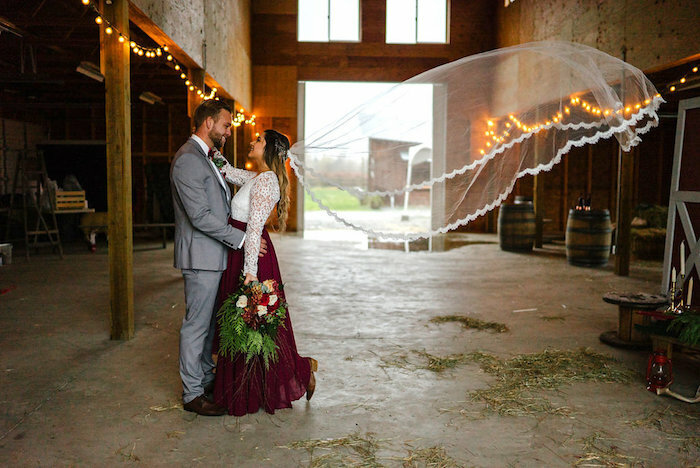 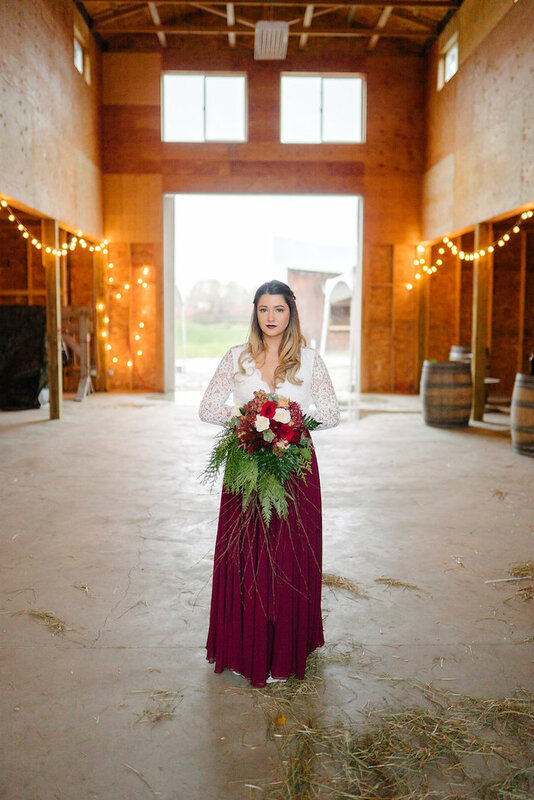 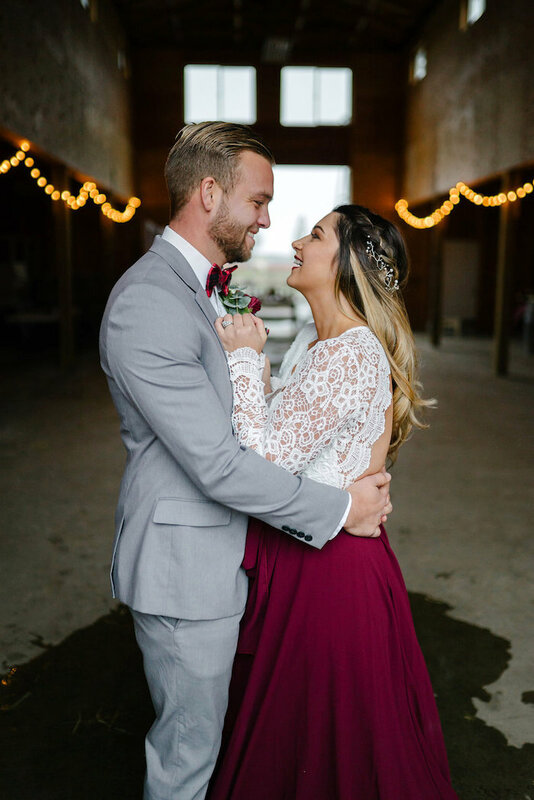 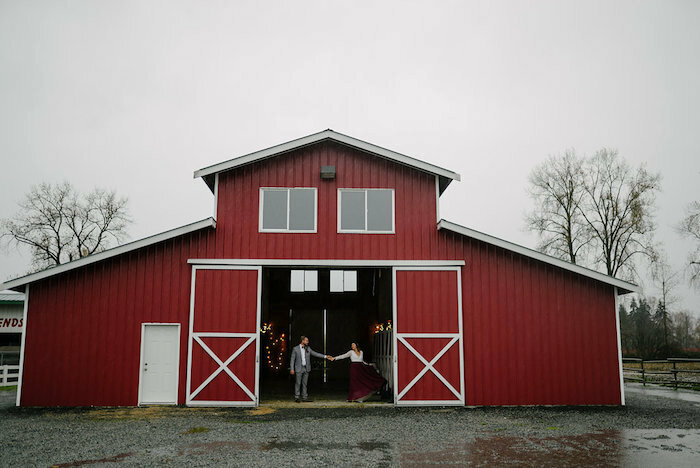 This intimate styled wedding took place in the beautiful barn at Hopcott Farms Weddings and Events in Pitt Meadows British Columbia. 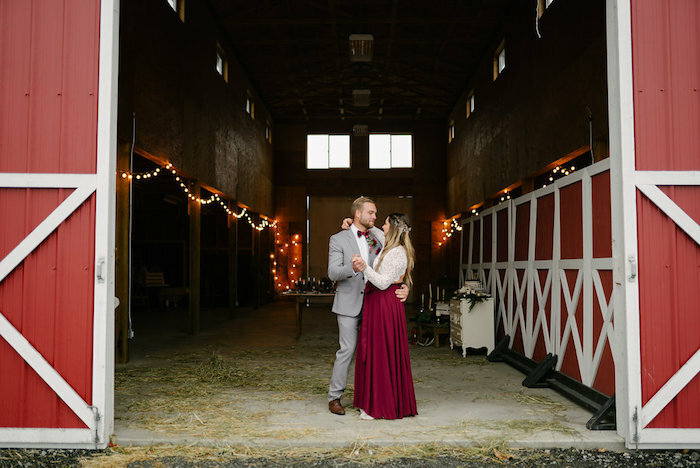 The high ceilings added drama while the globe lighting added warmth and coziness to our setting. 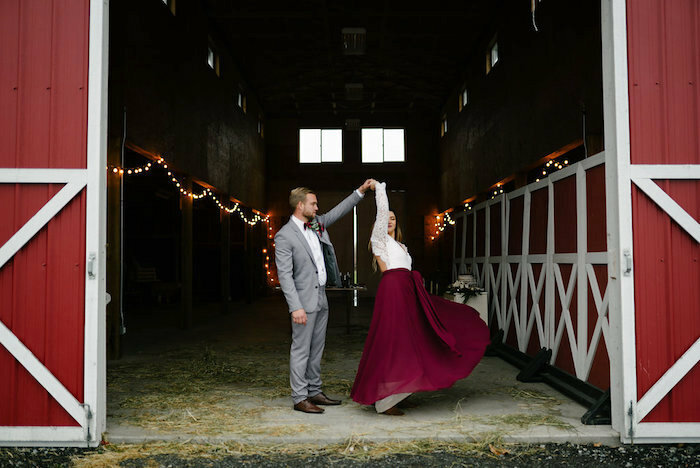 Even though it was pouring rain and freezing cold on the day of our shoot, our photogenic real life couple, Madison and Kurtis, were such good sports. 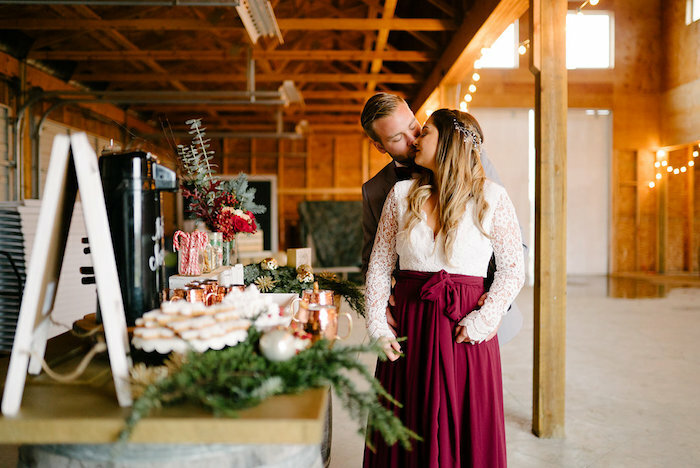 I just love Madisons romantic burgundy skirt! 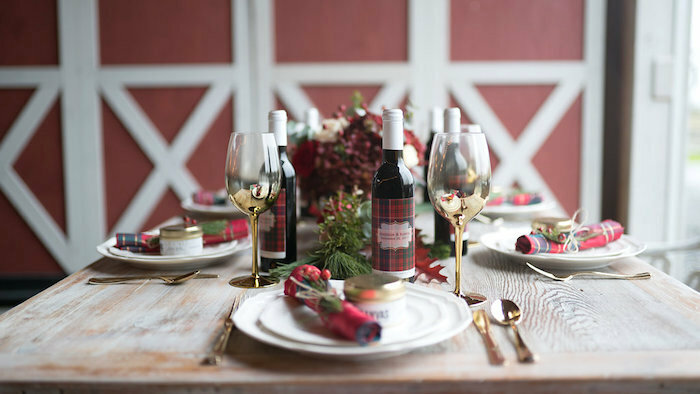 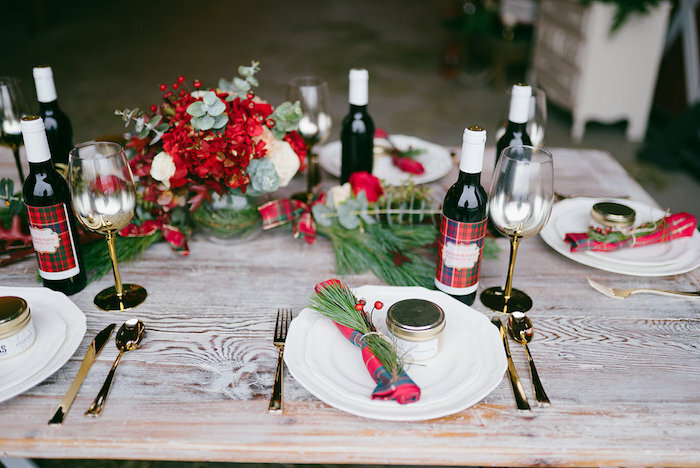 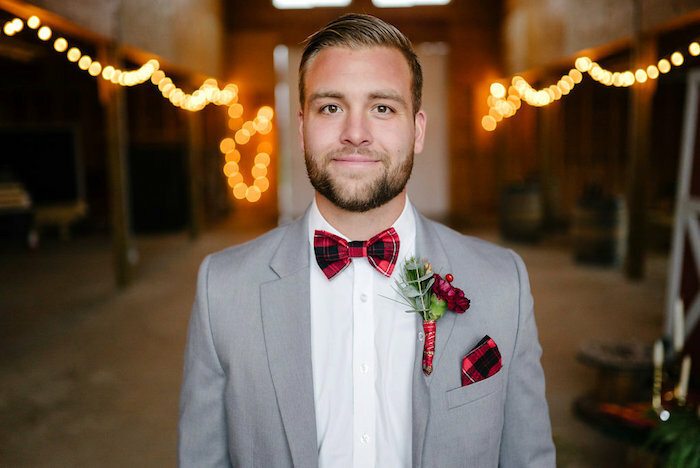 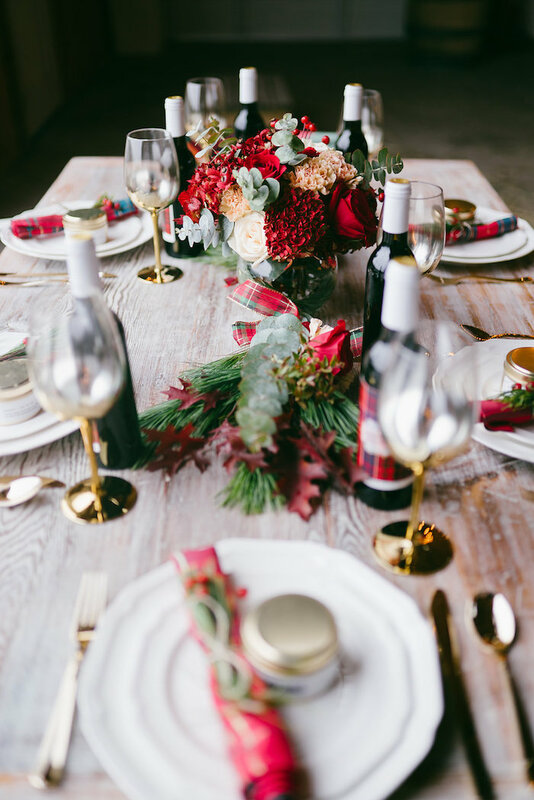 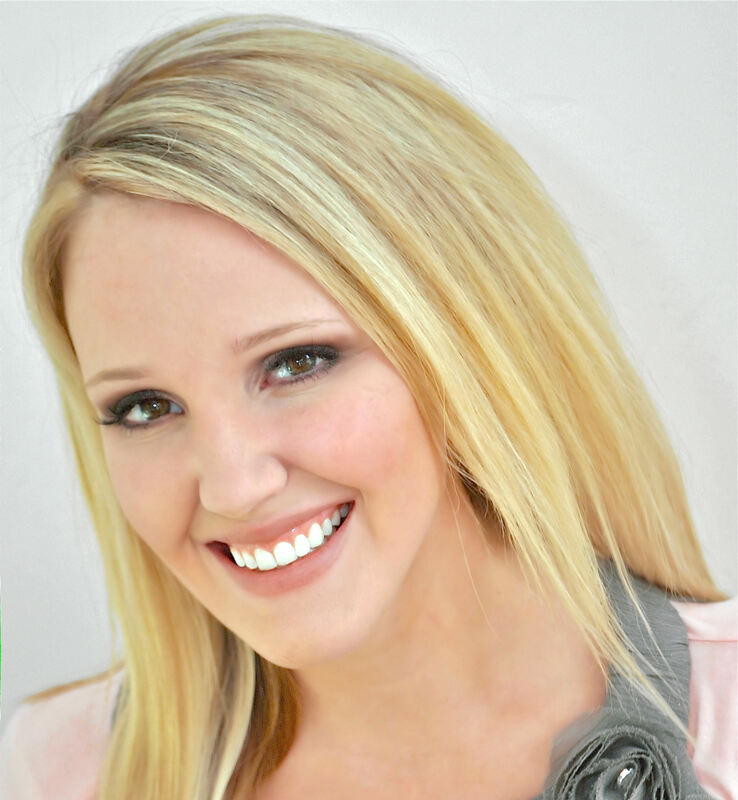 I chose a rich color palette of burgundy and gold mixed with luscious greens and touches of plaid. 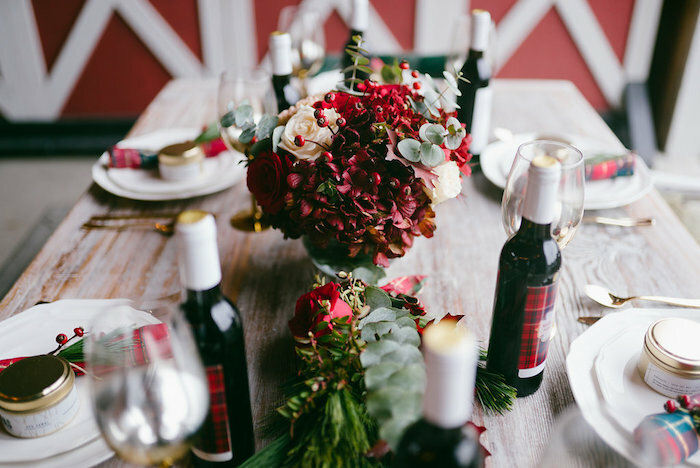 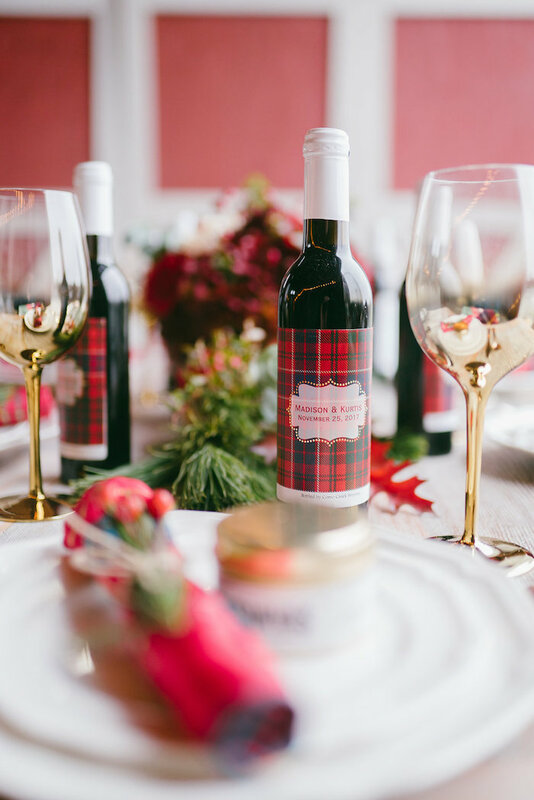 Our tablescape included personalized wine bottles, candle favors, and elegant florals by the Lasting Bloom. 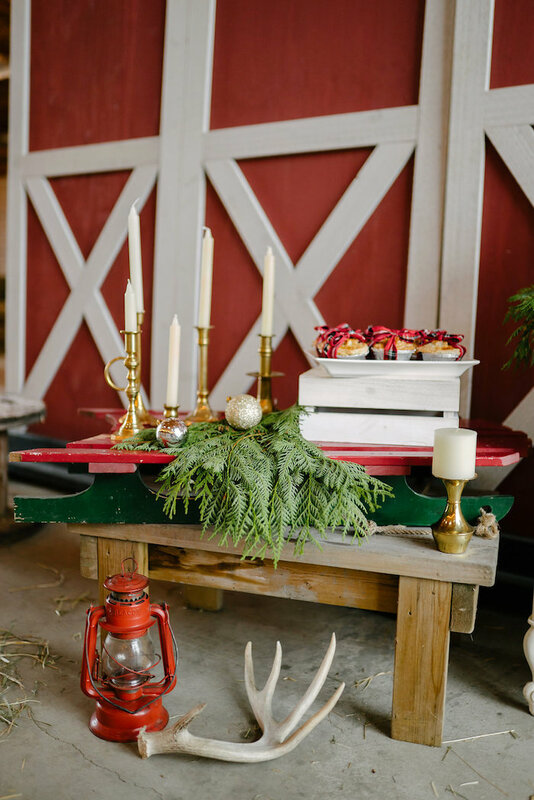 The harvest table provided by Bobbypins Curiosities & Vintage Rentals was the perfect addition of rustic style while the vintage settee added elegance to our table. 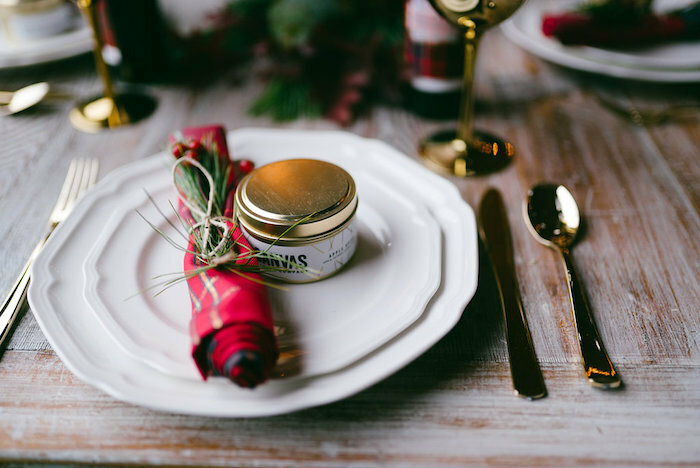 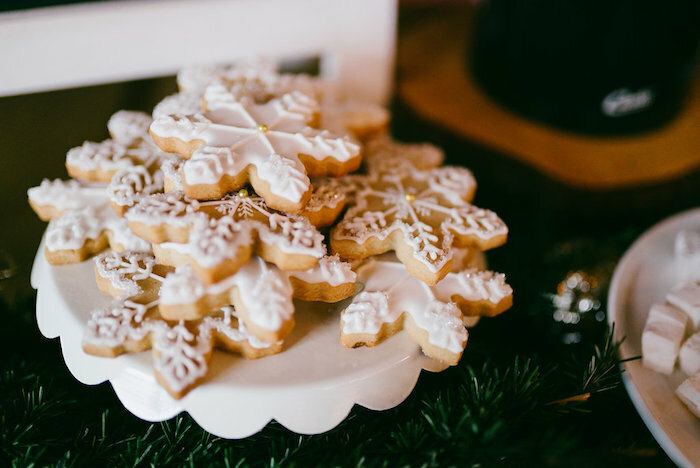 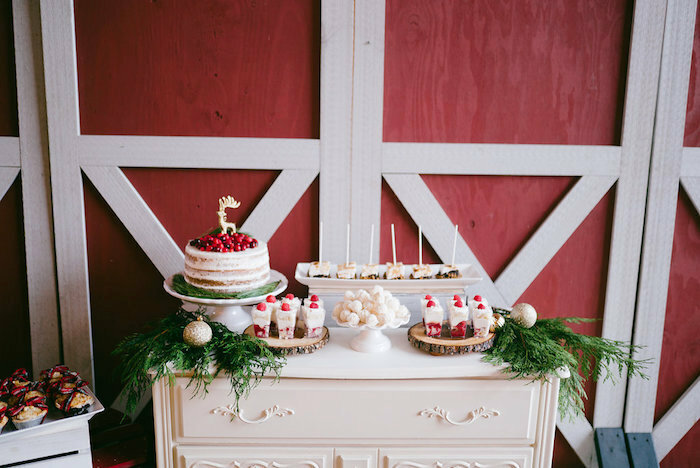 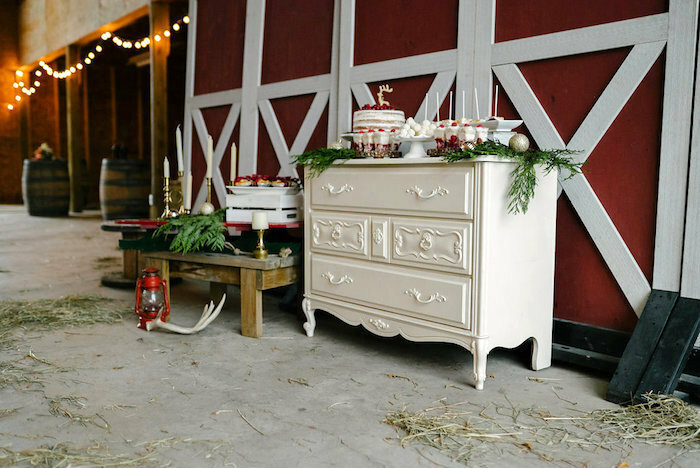 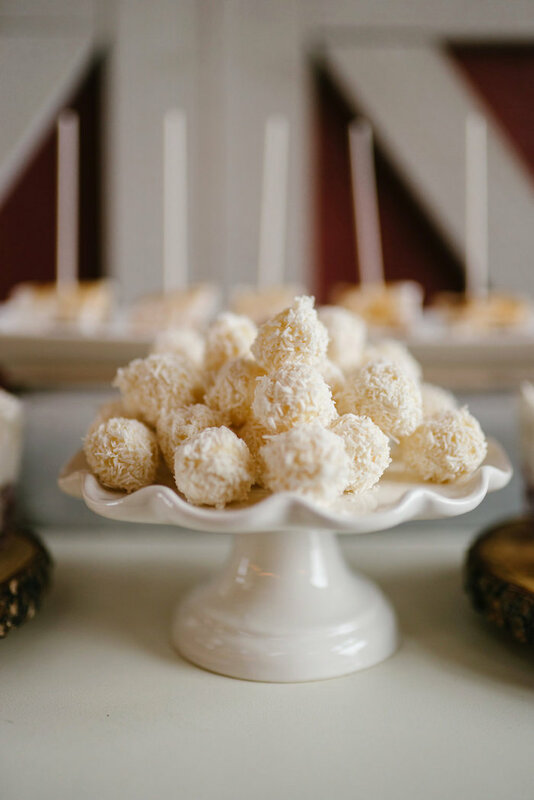 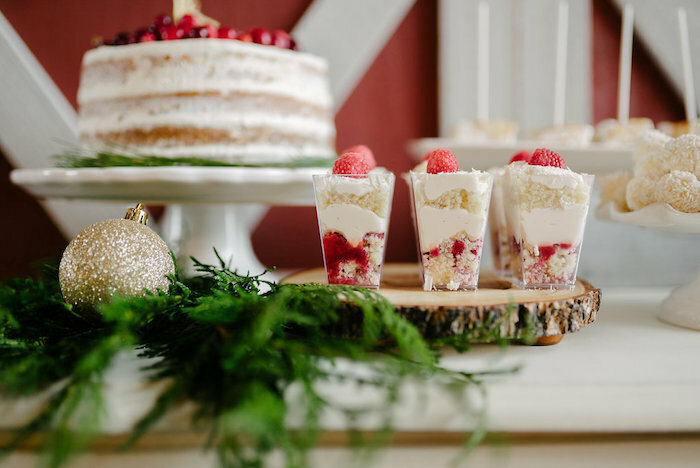 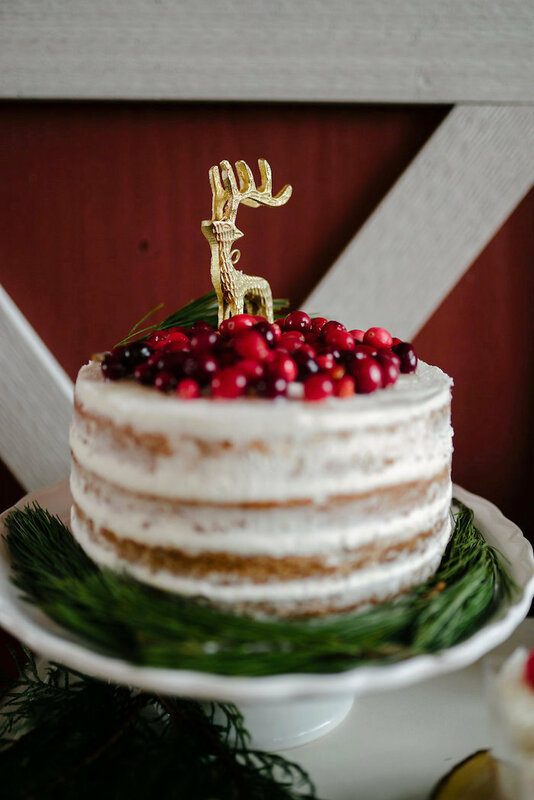 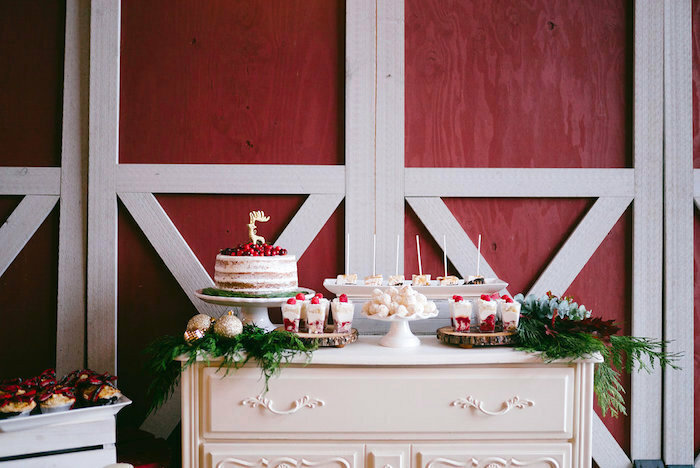 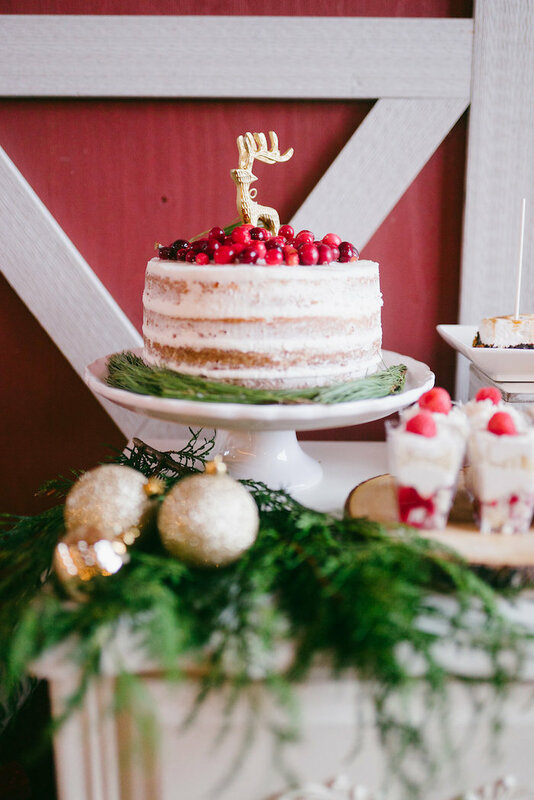 A beautiful white dresser and vintage sled were the setting for an abundance of handmade desserts including a rustic naked cake and individually sized treats. 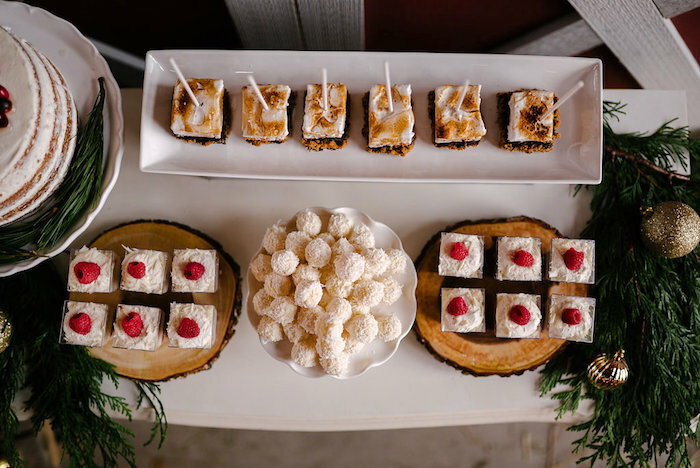 Included in our spread were mallow pops, truffles and dessert cups. 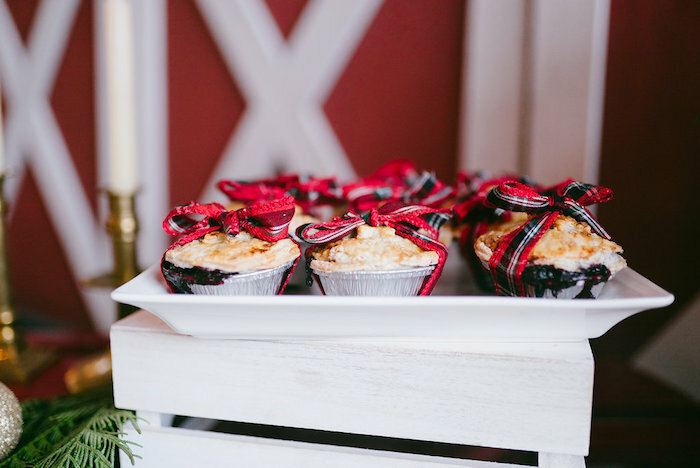 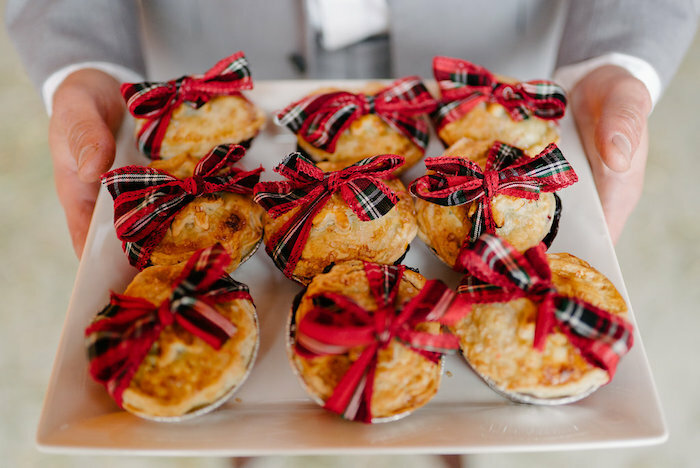 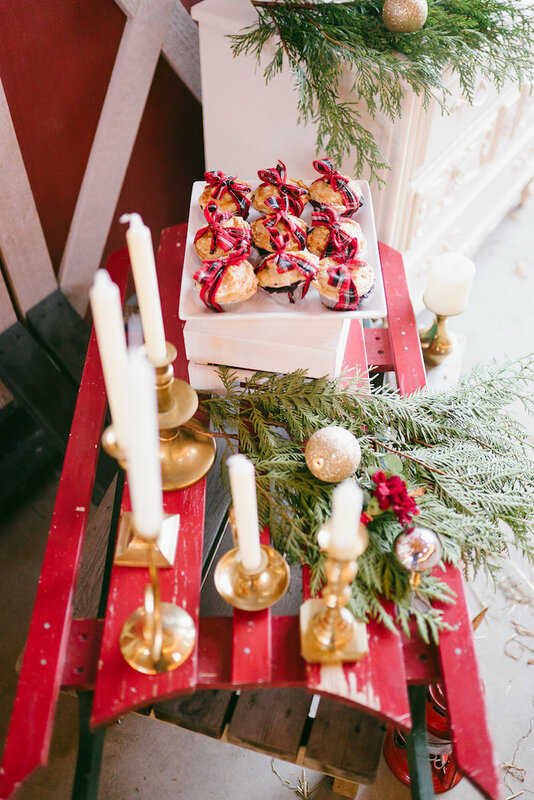 How cute are those mini pies wrapped in plaid ribbon? 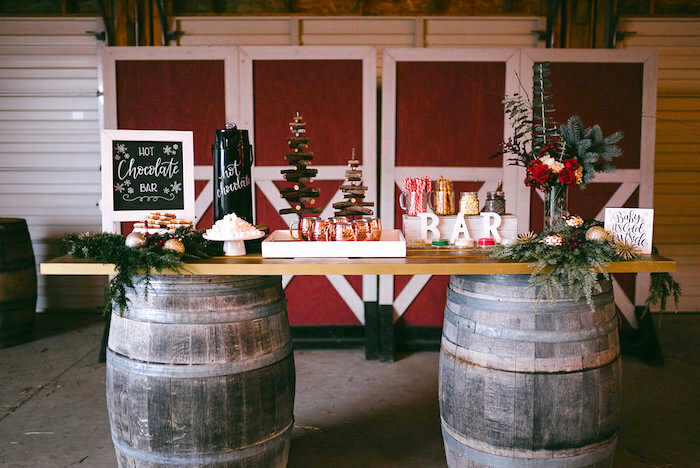 We set up a gold door on two wine barrels for our self-serve hot chocolate bar. 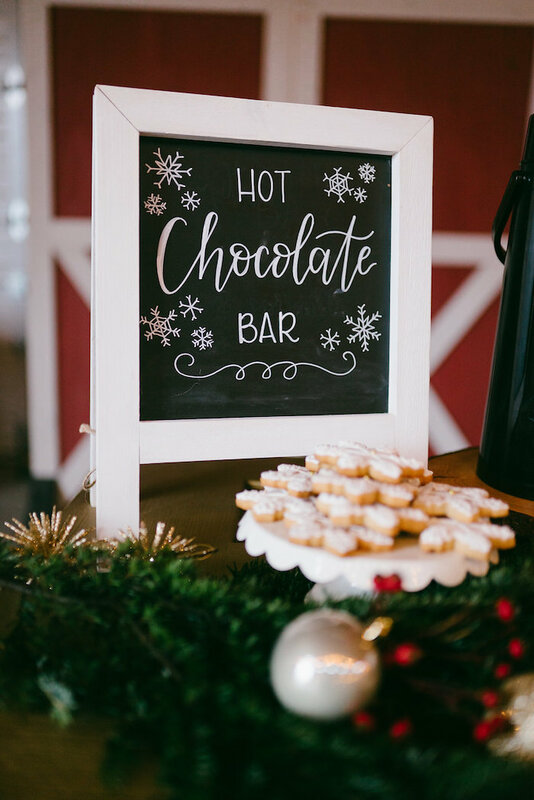 Our hot chocolate bar included beautiful snowflake cookies, homemade marshmallows, and an assortment of sprinkles from Dainty Sprinkle Co. 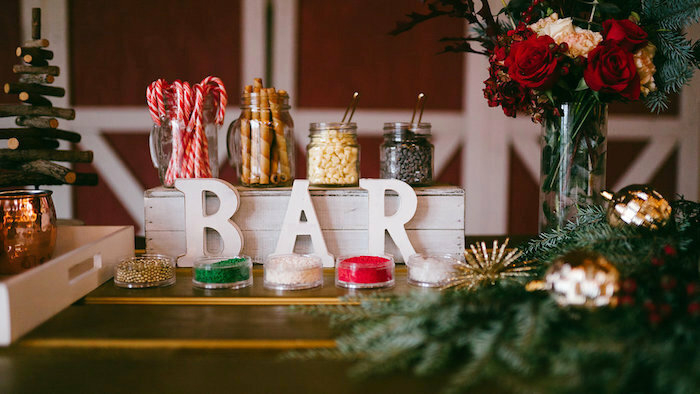 I added some candy canes, rolled wafers and chocolate chips as well as hand lettered signage by yours truly. 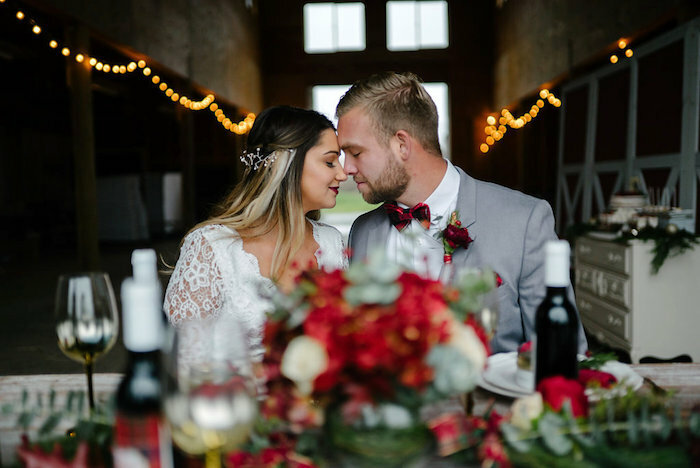 This winter styled wedding shoot was such a dream to put together and I couldnt have done it without all the amazing vendors”! 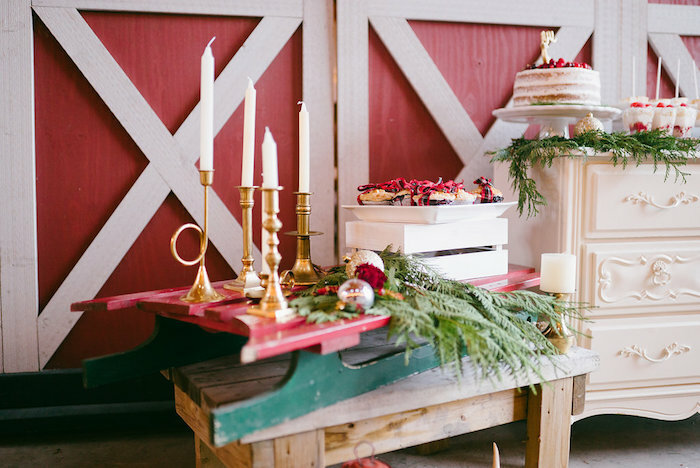 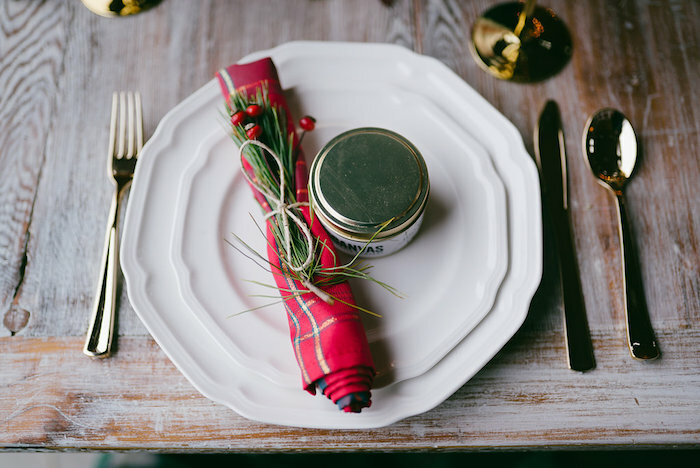 Don’t miss this Dreamy Winter Wedding!